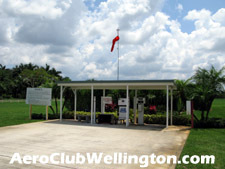 The Wellington Aero Club is a single-family luxury home community located in Southern Palm Beach County, Florida. With a climate so conducive to flying, Florida has established itself as America's leading aviation state. 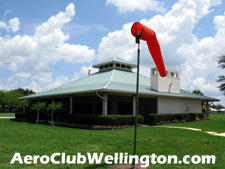 Wellington Aero Club Property Owners Association, Inc.
Construction in the Wellington Aero Club started in the mid 1980's. by a variety of custom builders and there are still some vacant lots and some brand new custom estate homes are being built. Each home in the community offers a completely unique style and flair all its own. The Aero Club is surrounded on three sides by deep water canals and the forth side is fenced. With only two attractively lighted and landscaped entrances into this community you can rest assured you and your family will have that secure and comfortable feeling when you come home.